Dr. Hatzoglou accepts the following list of insurance providers. Select your insurance provider to see more details. 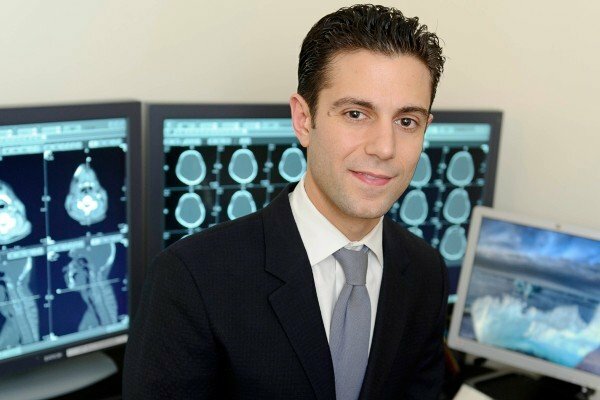 I am a board-certified neuroradiologist dedicated to improving the lives of patients with cancers affecting the brain, neck, and spine. Prompt and accurate interpretation of patient imaging tests such as CTs and MRIs is crucial for optimizing the diagnosis, staging, treatment, and follow-up of cancer. My expertise in these modalities enables me to help ensure that patients receive the highest-quality care at Memorial Sloan Kettering Cancer Center. I provide daily consultations for my colleagues in other specialties, including neurosurgery, neurology, otolaryngology, ophthalmology, and radiation oncology. My research interests are varied, but I am especially focused on how cutting-edge imaging techniques can reveal tumor biology, vascularity, and metabolism. Improved understanding of cancer physiology through imaging will allow us to differentiate between treatment success and failure at earlier, more-critical stages during patient therapy. Greater insight into how novel chemotherapy agents and cancer cells interact with each other will also ultimately lead to more-precise and patient-specific drug regimens. I have been invited to present my research at national conferences throughout the country. As an educator, I have enjoyed taking an active role in the informal training of residents and fellows during rounds and consultations. Additionally, I provide multiple didactic lectures, case conferences, and board reviews every year. It is extremely rewarding to assist with the development of the extraordinary physician-scientists of the future. Visit PubMed for a full listing of Dr. Hatzoglou’s journal articles. Pubmed is an online index of research papers and other articles from the US National Library of Medicine and the National Institutes of Health.